The S.E. 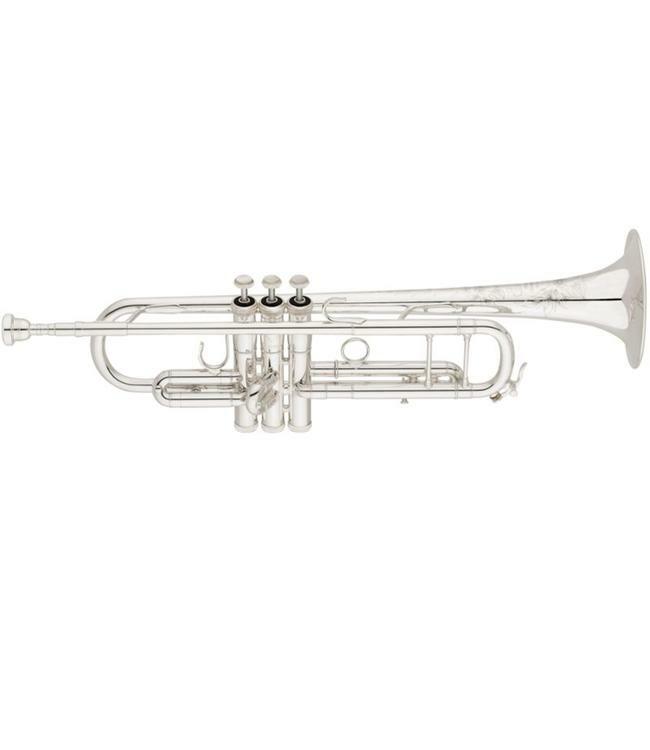 Shires Model B trumpet features a broad bell flare taper that produces an open, warm, round tone—coupled with agile, smooth articulation. The WH leadpipe provides and ideal combination of stability and flexibility; its relatively fast taper adds brilliance to the characteristic warmth of the B bell taper. Brass balusters and valve caps contribute to the character to the sound, increase its core, and facilitate cleanness and immediacy of attack. Commercial, jazz, and classical players alike love the breadth and malleability of the Model B’s sound.